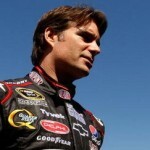 Four-time champion Jeff Gordon says that if he wins the championship this year, he won’t necessarily look at being a five-time champion. 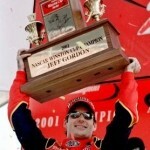 Gordon’s previous four titles came under the old, season-long style of points. He’s never won a title under the Chase, although many are quick to point out he would have won again had the Chase not been used. “I think any time that you make that drastic of a change, it’s a bit of a shock. I can’t say I was quite prepared for it. But when Nextel came along and everything was changed quite a bit, it gave it a good opportunity to make a big drastic change. Sprint has been able to really follow that up with a lot of excitement. I think it’s the right thing to do for the sport. As a competitor, it took me a little while to adjust to that. I don’t feel like anything owes me. The only thing that I really feel is that because it’s such a drastic change that even if we win the championship this year, I don’t think you can count it as five. I think you count it as one and you count the others as four, you know. It’s separated. OK, so how do you see it? If Gordon wins a title will he be a five-time champ or not to you? What about Jimmie Johnson? All three of his titles are in the Chase. He and Cale Yarborough are the only drivers to win three consecutive Cup titles (Yarborough did it with the old season-long format). Are their titles equal? D oes Yarborough’s mean more because it was the an entire season? Or is Johnson’s more meaningful because the points were reset and he had to beat 9-11 other drivers over 10 weeks to capture the crown? How do you see it? When Jeff Gordon climbed out of his sleek, shiny Dupont Chevy after finishing second to Matt Kenseth in the Fontana race, team owner Rick Hendrick took one look at his driver and he knew. 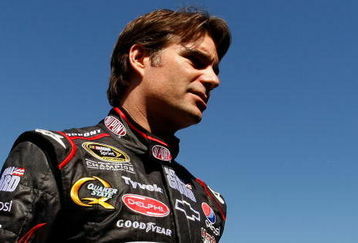 The gleam, that special gleam of excitement and confidence, was back in Jeff Gordon’s eyes once again. Hendrick, seeing the spring back in the step of Gordon, made a promise not only to Jeff’s fans but to all who would listen. His veteran four-time champion would win this year, not just one race win but would win “multiple races,” according to Mr. H.
Gordon has also publicly taken responsibility for the woes of the past year. He recently revealed that his back had been bothering him since the 2007 season. The back pain and spasms were worse when he was running long races. He admitted that the pain broke his concentration and made it difficult for him to effectively wheel the car to the end of the race. It took the cajoling of his wife Ingrid for Gordon to begin to address his back pain. At her urging, Jeff has now started to get into shape, work with a personal trainer, and has someone at the track to help him deal with his back pain prior to race day. Gordon also shared that last year was one of adjustment, especially to his role as a new dad. As every parent can attest, he was suffering from lack of sleep and solid rest, another factor affecting his performance on the track. 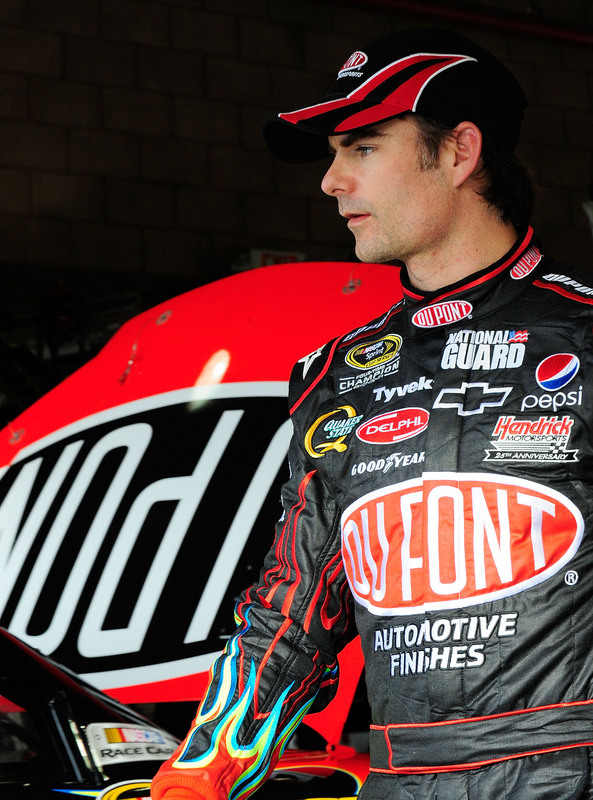 For the last 17 seasons, NASCAR fans have watched Jeff Gordon grow up in front of their eyes. Since winning his first Cup championship in 1995, Gordon’s voice has held authority. When outspoken, his arguments are calculated and smoothly delivered. When he or his team’s ability or determination is questioned, the response remains positive and upbeat. Sunday night’s postrace comments by the second-place finisher at Auto Club Speedway carried a similar tone, yet with an enthusiasm that was so genuine it was apparent that the old Jeff Gordon was back. Gordon graciously congratulated winner Matt Kenseth, but the confidence of the four-time champion beamed with the expectation that a fifth title could be just 34 races away. Gordon not only had an opportunity to win the Auto Club 500, he skillfully picked off one car at a time beginning with his teammate Jimmie Johnson on Lap 78 after the No. 48 Chevrolet had dominated by leading 74 laps prior to being passed in Turn 2.